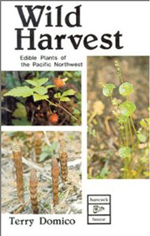 Former island resident Terry Domico is the author and co-author of several non-fiction works on nature - Wild Harvest: Edible Plants of the Pacific Northwest (1982, new edt. 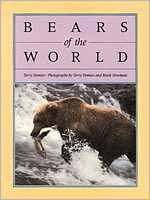 1989); Bears of the World (1988); The Nature of Borneo (1992); Kangaroos: The Marvelous Mob (1993); Brittle prickly-pear cactus (Opuntia fragilis) in the San Juan Islands and Puget Sound region of Washington State (1996); and Natural Areas of the San Juan Islands (2003). His books include many of his own stunning wildlife photographs. 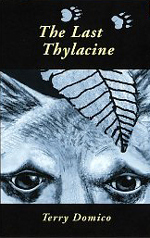 Domico has also written an outdoor adventure novel The Last Thylacine (2005), featuring field biologist Matthew Clark. When Clark reports seeing a Thylacine - an extinct marsupial predator, also known as the Tasmanian tiger - a story of human greed versus the desire to save a species unfolds. 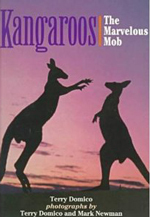 A reader says about The Last Thylacine: "Terry has written a great paced adventure novel and very cleverly found a way to give readers an Australian natural history, flora and fauna, photography and aircraft lesson all in one."